Driving through the West Australian landscape, you’ll be sure to come across some truly stunning examples of local Aboriginal cultures’ connection to the land. For more than 50,000 years, the state’s dramatic landscapes have provided a home to various Aboriginal tribes, and are now the perfect locations to learn more about the world’s oldest living cultures. Murujuga National Park, on the north-western coast of Western Australia, is the largest concentration of rock art in the world. The national park is home to three separate Aboriginal tribes who depicted complex Dreamtime legends on rocky walls and cliffs. Explore these ancient stories in the national park, which also provides an overview of vital ceremonial sites and stone arrangements. From here, take a drive into the Kimberley to encounter a nearly untouched landscape. This rich area in the very north of the state provides access to a plethora of cascading waterfalls, towering cliffs and deep gorges which will take weeks to explore in its entirety. 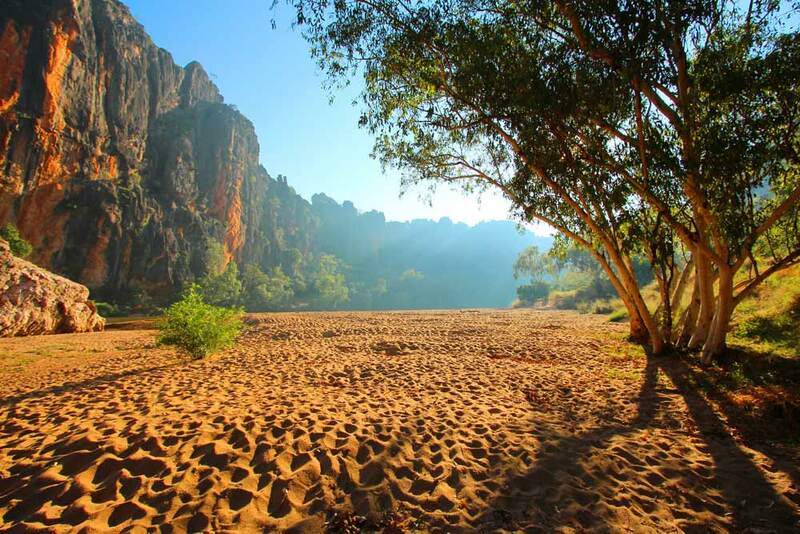 Like the Murujuga National Park, the Kimberley showcase the various spiritual sites and rock carvings of the more than 30 traditional language groups who call this area their home. This extraordinary region is a perfect tour of Australia’s north-western cultures. The Warlu Way is a road that follows the path of the sea serpent of the Dreamtime legends. According to the fable, the snake wound its way across the landscape to carve a 2,400 kilometre path. Driving along the sea serpent’s track takes you through outstanding coastal locations, turquoise reefs and outback tundras alike. You’ll have plenty of opportunities to learn about the natural landscape and Aboriginal traditions. Along Warlu Way, you can stop in Dampier Archipelago to view the coral reefs, take a swim at Eighty Mile Beach, or ride a camel in Broome.